This is a much branched shrubby plant growing to a height of a feet or a little more. Its leaves are simple lanceolate, and can vary in size. Some plants have leaves that are quite small, while others grow leaves that can be quite long. The leaves are prominently toothed and have an acute base (hence acuta) with stipules being present. 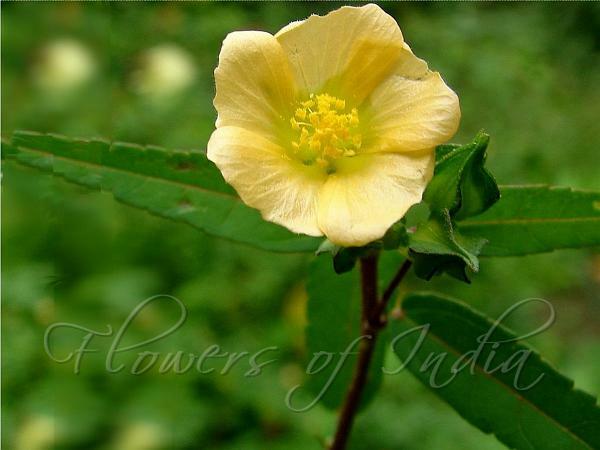 The flowers grow from leaf axils, are yellow in colour, solitary or occasionally in pairs. The flowers are buttercup like in shape, with overlapping petals. 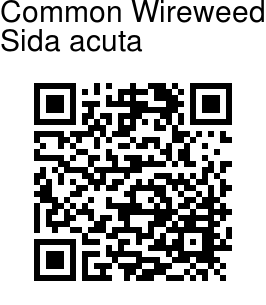 Common Wireweed is a pantropical weed. It is found in Eastern Himalays, at altitudes of 250-2700 m, and also in the Western Ghats. Identification credit: Pravin Kawale Photographed in Maharashtra & Chandel, Manipur..